was based on the complex morphology of the charophytes, including differentiation into organs and the presence of enclosing structures around the egg cells (oogonia); molecular phylogenies have confirmed this relationship (Sanders et al., 2003; Turmel et al., 2007). Included in this group are four important orders, Klebsormidiales, Zygnematales, Coleochaetales, and Charales (Lee, 1999). We will discuss the Charales in greater detail and briefly address the Zygnematales. For a comprehensive survey of morphology, paleoecology, stratigraphic distribution, phylogeny, and classification of the charophytes, see Feist et al. (2005b). organs of extant forms (oogonia) consist of five spirally arranged tubes or elements (FIG. 4.22) that surround the egg. 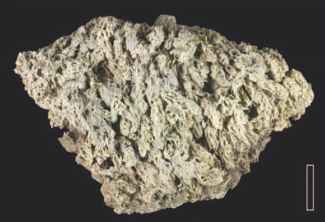 A fossilized oogonium is termed a gyrogonite (FIG. 4.23) and is the principal fossil evidence of the order (FIGS. 4.24-4.26). The oldest charophyte gyrogonites are known from the Upper Silurian (Feist et al., 2005a). Gyrogonites assigned to the genus Trochiliscus (Devonian, Trochiliscaceae) are characterized by more than five enveloping elements that are dextrally coiled (twisted to the right). 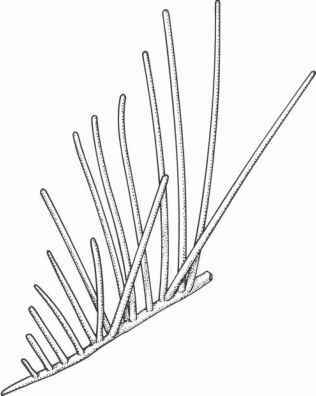 The gyrogonites are ~0.5mm in diameter and slightly longer than wide; the base is rounded and the distal end is elongated. 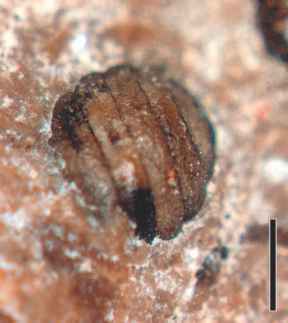 Inside a gyrogonite of T. podolicus is a thin (1 pm), continuous membrane that has been interpreted as a remnant of the original oospore. In some sections, patches of disorganized cells are found associated with the membrane. 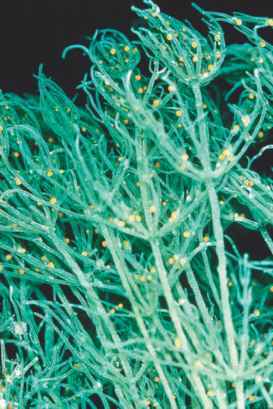 The trochiliscs were initially regarded as marine organisms; now they are believed to have inhabited fresh or brackish water habitats. In contrast with the trochiliscs, the younger Devonian and Carboniferous gyrogonites demonstrate greater structural variability, with at least six elements surrounding the egg cavity, and an open pore at the apex (Peck, 1957). FIGURE 4.22 Polar view of gyrogonite showing spiral cell (Triassic). Bar = 500 pm. 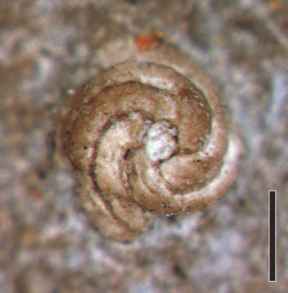 FIGURE 4.23 Gyrogonite showing spiral cells in side view (Triassic). Bar = 500 pm.